I came across this book last year, when I was in India, but could not get hold of it. Since then it was on my must-read list of books. 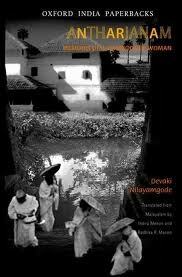 The book is an English translation(by Radhika Menon and Indira Menon) of a Malayam book written by Devaki Nilayamgode, a 75 year old Namboodiri woman. She recounts the life of a Namboodiri woman from childhood. Namboodiri women are called, ‘Antharjanam’, which literally means, ‘People who live inside’. After the age of 6 or 7, Namboodiri women are confined indoors, and not seen even by their own fathers or brothers. Those days, it was common for only the oldest son in a family to marry within their caste. The other sons would do a ‘Sambhandam’ with Nair women, and the Nair women and their children would continue to live in their house and not in the Namboodiri illam. It was common for the eldest sons to practice polygamy for various reasons. There were instances where a man on his death-bed would marry a teenager. Illams traditionally would have unmarried girls, married women and widows of the Namboodiris. The author recounts her own childhood in a prosperous illam. She grew up in a prosperous illam, and yet her childhood felt almost inhuman. The hierarchy is clear right from the beginning of life. A girl child was never welcomed with happiness. She talks about how they did not even have a comb to brush their hair. Nobody cared about such things. She talks about how her mother never encouraged her or her sisters to have any sort of freedom, as that would not bode well for a life where they would have to live under the shadow of others. Rituals, traditions and rules, made their lives. Some of the things she describes are heart-breaking. Namboodiris could get polluted by getting touched by other castes. During deliveries, Nair women would be attending to the Namboodiri women, so after the delivery, the first thing the poor women had to do was go and have a bath in the pond, to purify themselves. Already weakened by the delivery, they had to make their way to the pond, have a bath before they could be rest at all. As Nilayamgode mentions, nobody spared a thought that often the water would be muddy during the monsoon, and having a bath in that condition might attract infection in the already weak women. Traditions were the most important thing, so had to be followed. 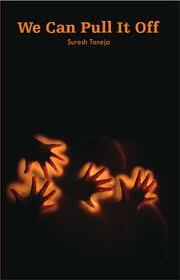 The plight of the widows were particularly sad. They had to pay for the crime of having outlived their husbands throughout their lives. Nilyamgode’s mother was a widow, the third wife of a Namboodiri, but she was respected for her abilities, so she had a slightly better life. Education was practically non-existent for women. Devaki learnt how to read and write, and that was about it. Her sisters started reading books that their brother would slyly pass to them, and that was their only source of reading. It was only when they came in touch with their sophisticated Nair cousins that they realised how different their lives were. The Nair girls would be well-groomed, well looked after, and would even treat the little Namboodiri children with affection – something they never got from their mothers or fathers. She recounts how they would give them pieces of soap, which was treasured and used sparingly to make it last longer. Fortunately for Devaki, the family that she married it was very liberal and socially progressive. By that time, social reforms and movements had begun. They were focussing on educating women, widow re-marriage, encouraging the other sons of households to marry within their caste. Nilayamgode writes about how her book will be the last of it’s kind, because change has ensured that there are no longer problems that are restricted just to the Antharjanams. That life today is so much better than it had been a few decades ago. The book brings to focus how much of change has happened, and how change can happen when communities decide for themselves that things have to change – when the change happens from within. Most of the change that happened in the Namboodiri community was because people themselves realized that things have to change in their society. When the society convinced their widowed sisters to remarry, educated their daughters, and encouraged their wives to take control. I though I was shocked because I grew up in a different time. My mother started reading this book, last week, when she was here, and she was as shocked as me. She had an inkling about the lives of the Antharjanams but had no idea how different it was. My grandmother would have been 86 or 86 now had she been alive today, so around 10 years or so older than Devaki Nilayamgode. They would have grown up in villages quite near by, in families of similar financial capabilities and yet Ammamma(and her sisters) was an educated, empowered lady. So much of variation in lifestyle just because they belonged to different castes. Isn’t it wonderful how time and progress has brought it to a point where today, everything else being equal, there would be no difference between me and a Namboodiri girl? A wonderful book. A must read.